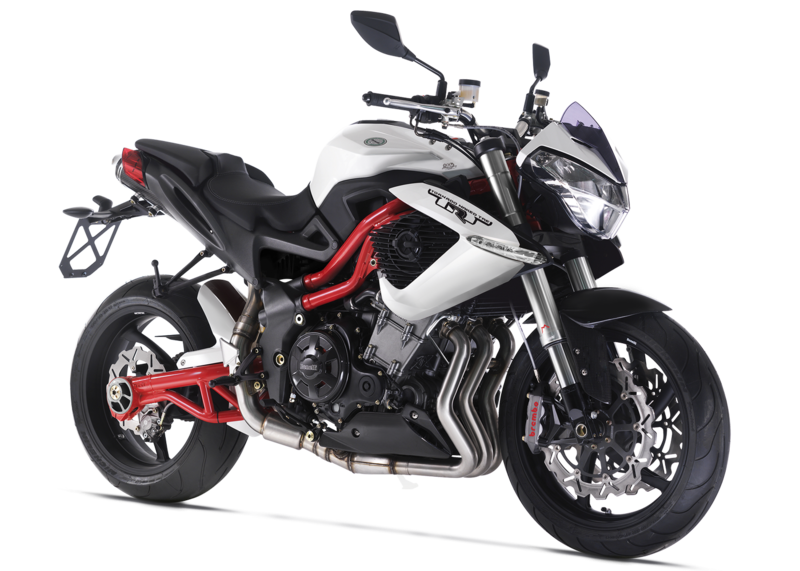 The emotion has only one name: Benelli TNT 1130 R. A real gem for performance and style, a motorcycle with strong character, able to conquer the genuine bikers. The Benelli TNT 1130 R. A real italian legend. Curved tubes of the highest quality steel are employed, and connect to a lovely alloy casting section in back to form a strong yet lightweight cage that uses the amazing three-cylinder engine as a stressed member. The 1130 R represents the very best of Italian design, with curves, angles and colors that blend perfectly together. There’s nothing like the TNT 1130 R, and you won’t be able to take your eyes off it. A 50mm inverted fork featuring rebound, compression and spring-preload adjustability mates with a similarly adjustable single-shock system in back for an amazingly compliant ride and superb wheel control at any speed.